In honor of Earth Day, and to commemorate the twentieth anniversary of Fox's "Independence Day," Twentieth Century Fox Home Entertainment has partnered with Earth Day Network and Google Play to offer fans a Digital HD download of the sci-fi classic for only $.99 between Friday, April 22, and Monday, April 25. Fox's proceeds will benefit Earth Day Network's Trees for the Earth initiative, which aims to plant 7.8 billion trees over the next five years. "Independence Day: Resurgence," the sequel to "Independence Day," will arrive in theaters June 24. The partnership is the latest chapter in a longstanding relationship between Fox Home Entertainment and Earth Day Network, dating back to their 2010 collaboration on the Avatar Home Tree Initiative, which succeeded in its goal to plant 1 million trees across six continents within a year. 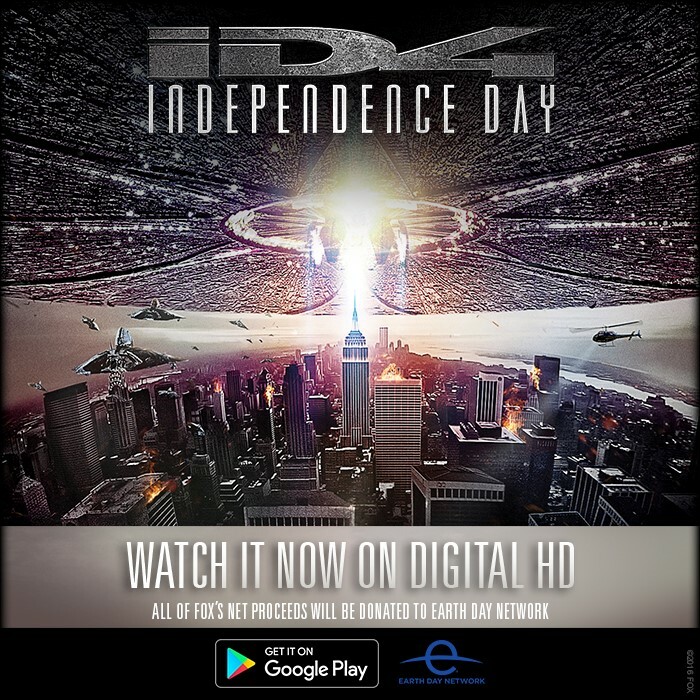 This new wave of support from Fox Home Entertainment's sale of "Independence Day" on Google Play will allow Earth Day Network to continue its work around the world to protect the planet. The Trees for the Earth initiative will work with local tree-planting partners to ensure that the most impoverished communities receive new trees that will help them better feed their families and grow their local economy. In addition, actor Jeff Goldblum, who stars in both the original "Independence Day" and the upcoming sequel, recorded a special Earth Day PSA in character as Earth Space Defense Director David Levinson, giving viewers practical tips on make their homes more environmentally friendly.